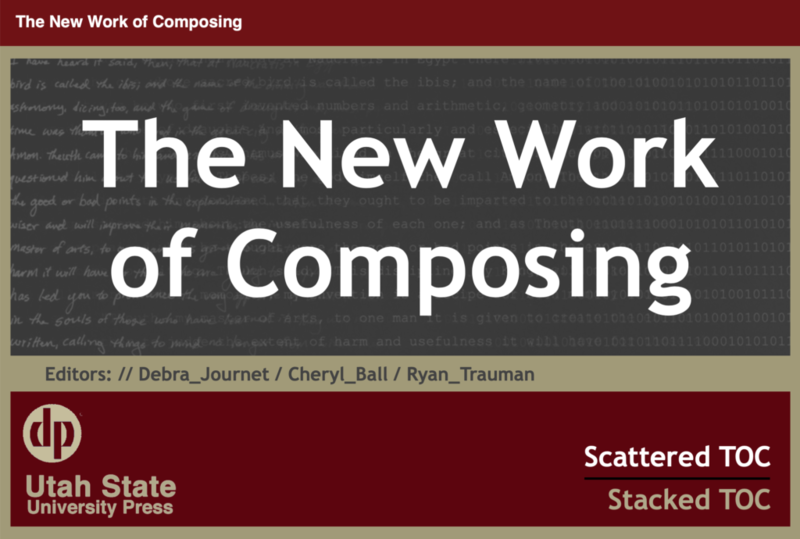 The New Work of Composing. Eds. Debra Journet, Cheryl Ball, and Ryan Trauman. 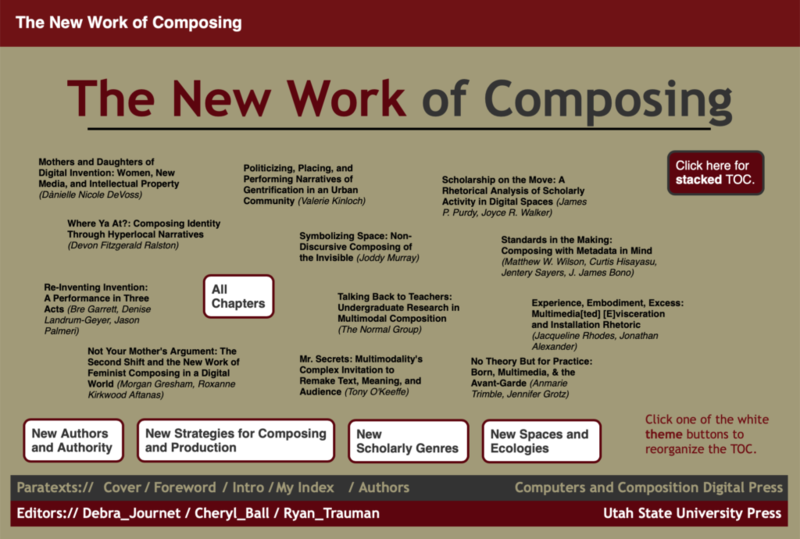 Utah State University Press & Computers and Composition Digital Press, Fall 2012. NOTE: Awarded the 2012 Computers and Composition Distinguished Book Award.